They all look uniformly shite. 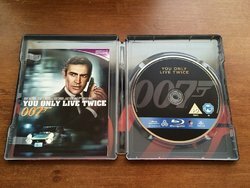 I think I'll stick with my "Bond 50" Blu-ray collection. Most of the set look pretty terrible. Might want to give Amazon.de that memo too. While I can see what they're going for, and yes, they will be fairly consistent, they're all terrible IMO. Surely the theatrical poster art would have been the way forward on these releases, now that would have been something. 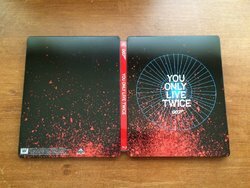 Good lord....glad I don't want these because getting all the bond films in steelbook form would break my bank. I'll stick with my boxed set. 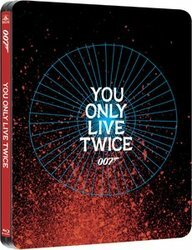 @digitalbabe Do we know if Zavvi will be getting the Quantum of Solace and Skyfall editions that Germany is getting? 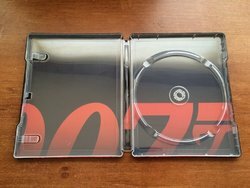 I hate to agree with the majority, but as a massive Bond fan, I'm very disappointed with the artwork (especially the non-existent interior) for this wave of Bond films. 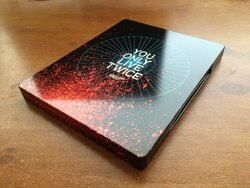 I always said I want the whole Bond collection on Steelbook, but this one for You Only Live Twice is the only one I like. 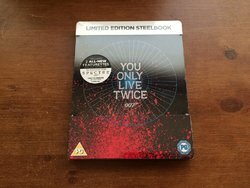 As a sucker though, I will probably by all 7 for £118. At least I have a night to sleep on it.